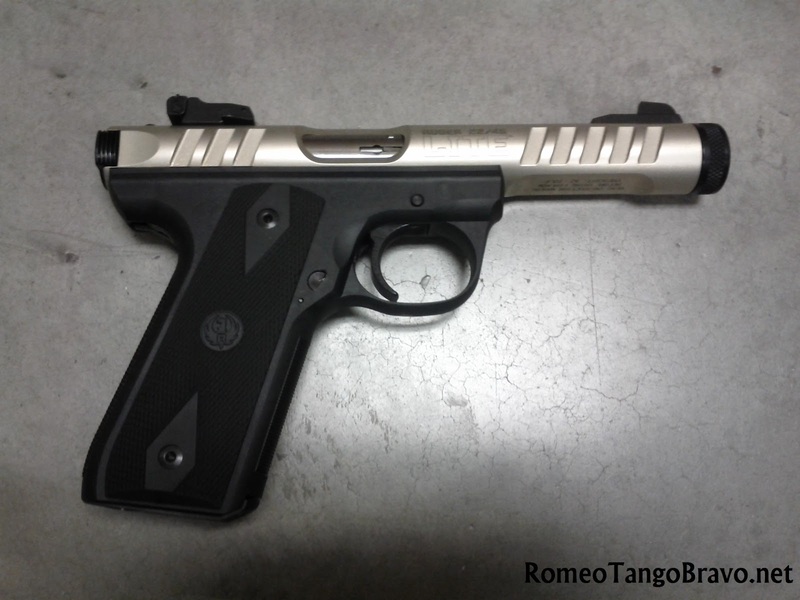 RomeoTangoBravo: Ruger 22/45 LITE Hits the Shelves! 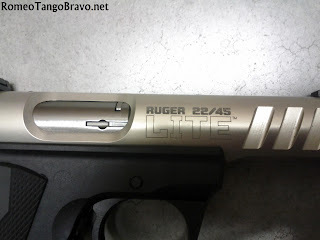 A month and half ago Ruger announced the introduction of the 22/45 LITE. Today we get a chance to handle one for the first time. The first thing I noticed was how light weight this pistol is. At only 22.8 oz. it almost feels like it wants to float away from you! 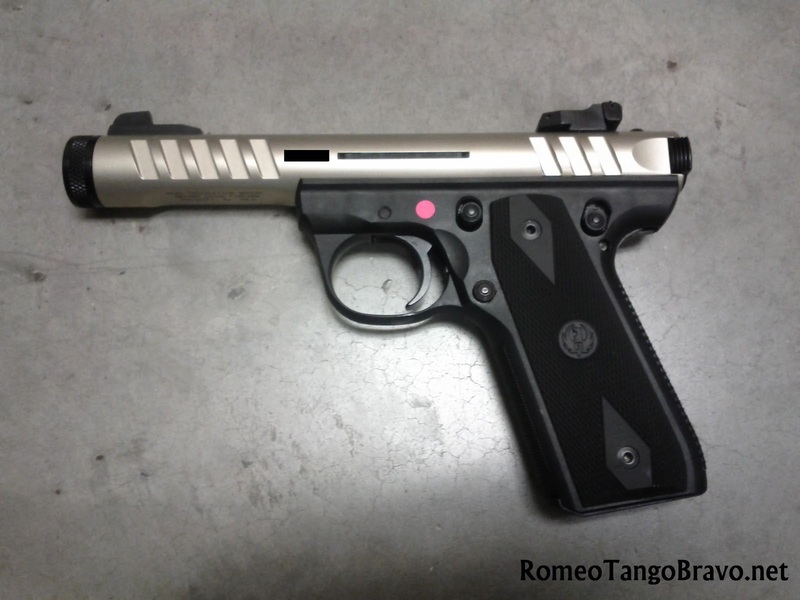 The 'slide serrations' are bold and complement the aesthetics of the pistol. They look so effective that I even tried to rack it using them knowing that it wouldn't do a damn thing. I'm not a huge fan of 'gold' but this is one sharp looking plinker!